Lead designer Ed Beach and his team at Firaxis Games are trying to get you to be more active players in Civilization VI. 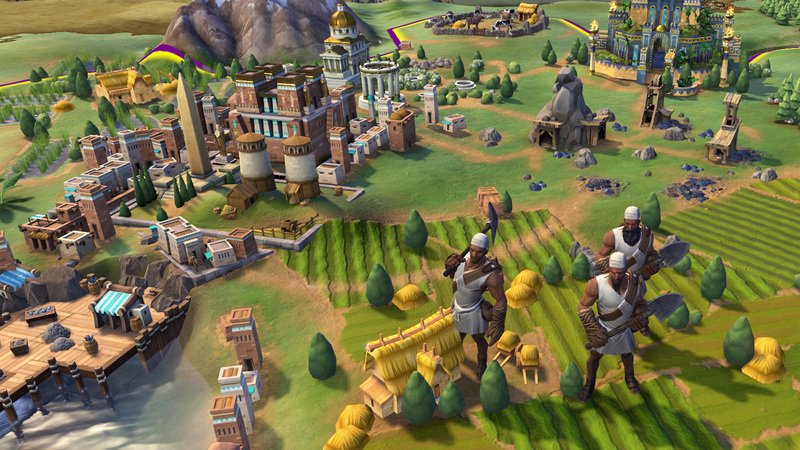 With some very purposeful changes to core mechanics such as Unstacking Cities and, more to the purpose of this blog post, automation, the team is aiming to emphasize player interaction in Civilization VI. Automation is a mechanic where Civilization players could let the game take over for a particular unit, thus submitting all choice and interaction with that unit to the game’s AI. 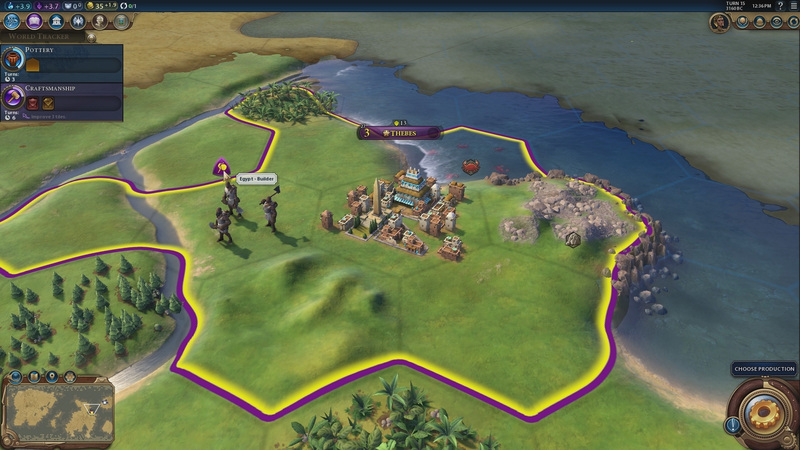 In Civilization V, you can automate scouts to explore the map for you or automate your workers to improve your city’s tiles all on their own. While this feature is fine for some players, one of the chief concerns is that it puts players in a state of autopilot, eroding away the immersion and investment of the Civilization experience. That all changes in Civilization VI, which has eliminated almost all aspects of automation. Builders, which replace Civilization V’s Worker units, provide an excellent example of how the “autopilot” mentality of automation has been addressed in Civilization VI. “In previous Civilization games you had Workers, which took their time going around the map, taking a number of turns to make each improvement. Automation was a way for players to get a benefit out of their Workers without manually controlling them each turn, which was often difficult because you would forget what it was you had planned when it came time for your Worker to move on to a new project.” By replacing them with Builders, who construct improvements instantly and have a set number of charges before they are all used up, the player is now presented with more immediate decisions requiring full participation. That’s it for this update! Join the Civilization VI conversation on social media by using the hashtag #OneMoreTurn, and be sure to follow the Civilization franchise on social media to keep up to date with the latest news and information on Sid Meier’s Civilization VI. reduce automation == INCREASED MONOTONY. It discourages me from playing since I have to micromanage everything. Christopher Nolan made the same decision for the sound mix for The Dark Knight Rises. He wanted the audience to be "more involved". Instead, he ended up with a mix where the audience couldn't tell what the characters (especially Bane) were saying. It got in the way of enjoying the film, just as the lack of automation is getting in the way of me enjoying the game. Since you don't build roads, they are created by caravans you don't need to worry about it. You also don't have to PAY for them. IDIOTIC DECISION. In late game when you are building roads all over the place and improving every square inch of your territory, automation is incredibly helpful and makes it much less irritating. so...now i have to micromanage my army of 20 workers? I strongly dislike autostoping the exploration when you encounter a hunt. Just take the bloody bonus, that's what I would have done anyway.